Best title ever! If that doesn’t generate excitement, what does? In my Operation Make It Tidy (OMIT) quest, I will share ideas and articles that have given me insight into how to keep the kitchen neat and tidy as I go. This was a good one from Epicurious: How to Turn the Lowly Kitchen Towel Into a Power Tool. 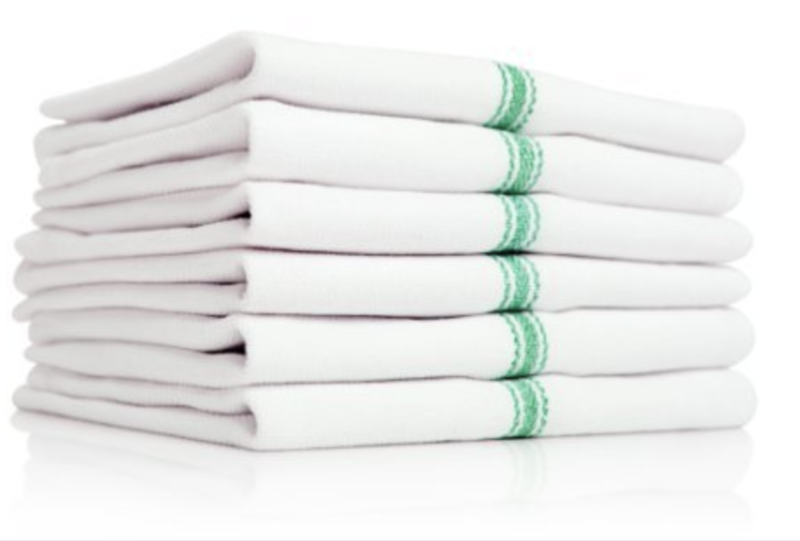 Get the right kitchen towels. They should be durable and have texture. Dish towels, used for drying dishes, can be cute and lovely. Kitchen towels are towels of substance. The article recommends these from Amazon. Have three kitchen towels out during meal prep: one dry one, one wet one, and one for drying your own hands. A dry towel to swipe or swoosh dry goods off your cutting board or knife. It can also be used as a makeshift potholder. One one more dry one for washing your hands – I’m kind of a hand washing freak so I added that one. There are more details in the article, and it’s worth reading, but these are the takeaways for me in my OMIT quest.